Having a presence on social media is not enough these days. You must monitor your website’s social media activity to fully understand where your posts are being shared, what your readers enjoy the most, and who is actively engaging in your content. Monitoring your presence on social media will give you the opportunity to see how others perceive your brand. After all, it is your readers that make you successful and if they do not perceive your company as one that is authoritative, trusting, or even share-worthy, your company will suffer. Unfortunately, social media monitoring often gets pushed aside. Listen, I get it. 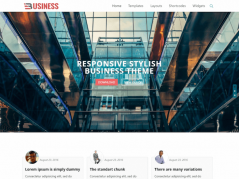 There are tons of things that need to be done on a daily basis to keep your WordPress website running smooth. But in an age where customers value the online presence of their favorite brands, it is crucial you tap into how they identify with you and your product and adjust accordingly. Today we will explore why monitoring your WordPress website’s social media activity is so important to the success of your company and look at some of the most popular social media monitoring tools that are available to you at no cost. Many website owners fail to take full advantage of the power of social media. This is because they simply share their content on various platforms and then forget about it. The problem with that is website owners are not analyzing their followers’ activity to see where they can make improvements to their businesses. In order to build your company and expand your customer base, you should make time to observe how your audience reacts on each platform so that you can cater to their needs more appropriately. Whether standing by quietly, discussing criticisms and offering solutions or simply conversing with your followers, you must monitor the behaviors on your social media accounts to know what people are saying about your brand. 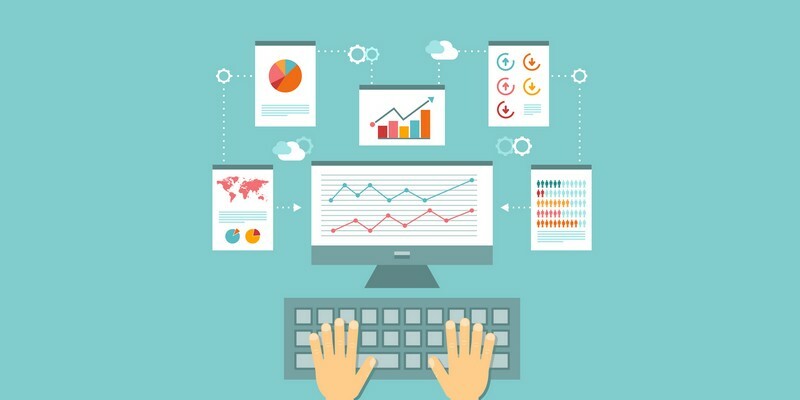 What Do Social Media Monitoring Tools Offer? Reach. Measure the number of followers and subscribers you have to see how big your fan base is. Engagement. Measure retweets, backlinks, comments, bounce rates, clicks, video views, shares, and downloads to see how your customers are interacting with your shared content. Satisfaction. See how satisfied your customers are with your company by analyzing their shared sentiments. Conversions. Measure how many sales are made as a result of social media marketing efforts. Though this social media monitoring tool has been under some fire for a couple of years, it has yet to disappear and quite frankly, people are still touting it as one of the best free tools out there for monitoring your online presence. 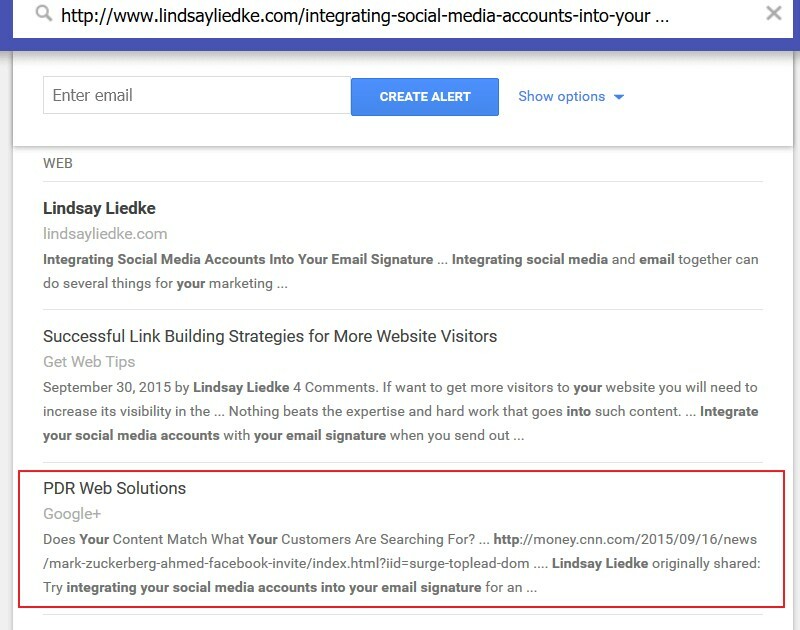 Used as a way to track backlinks, Google Alerts is a free tool that allows you to see who is linking to your website’s blog posts in their own content or on social media platforms such as Google+ or Twitter. The first thing you will want to do when using Google Alerts is to put either your blog post’s URL or your brand’s name in the search box to see if you get the type of results you are looking for. 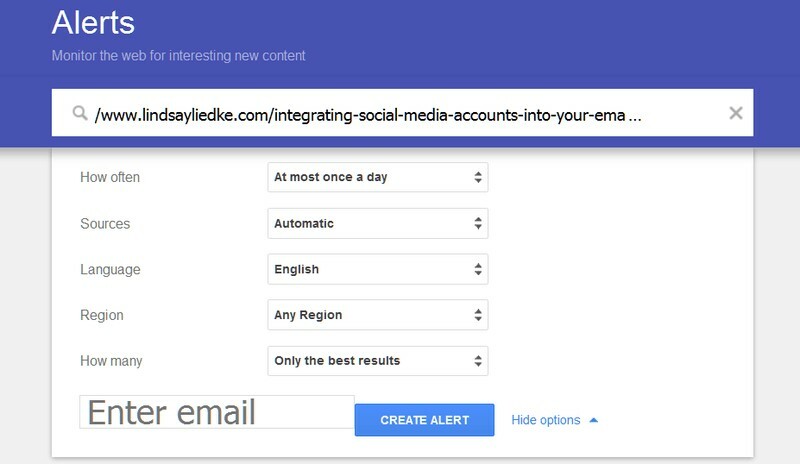 From there you will want to set up your first Google Alert by entering your email in the Create Alert section. There are some additional options for tailoring your search results such as how often you want alerts delivered to your email, sources (such as News, Blogs, Videos) , language, region, and the volume of search results delivered. 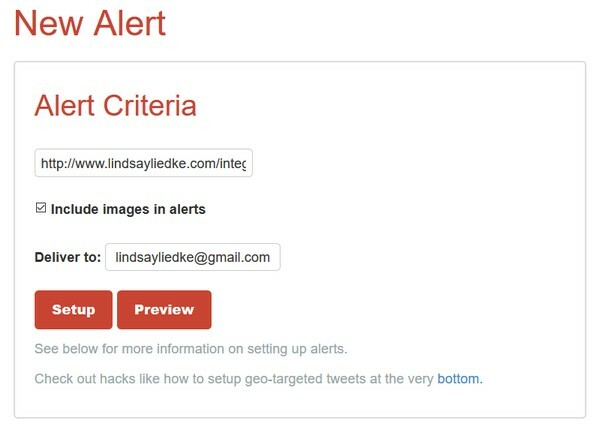 Once you have tailored your query, select Create Alert. 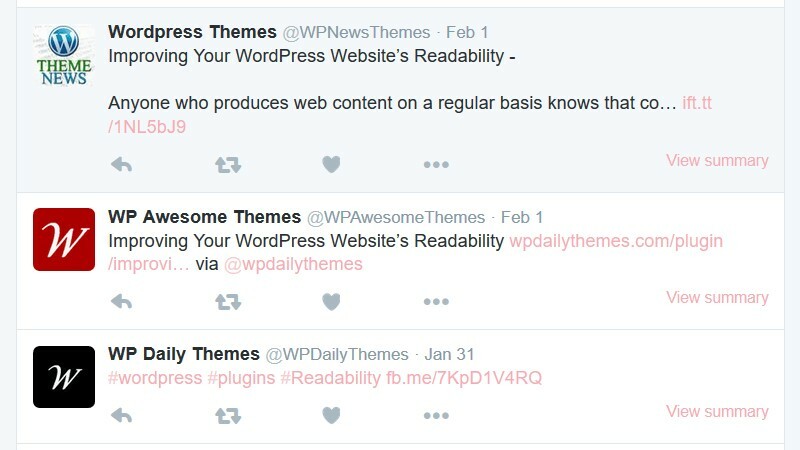 Google Alerts are great for monitoring user engagement with your WordPress website’s content. Although sometimes the results found can be un-related to your brand, you will still be able to see those places where you content is thought to be important enough to link to. 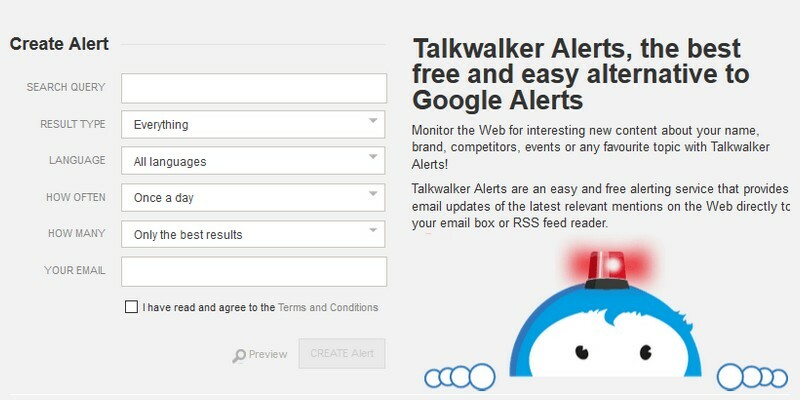 In response to the sometimes faulty Google Alerts, Talkwalker Alerts was created as another free way to deliver to your email inbox relevant web mentions of your content just by entering a keyword or phrase into the Search Query box. You can receive alerts on your brand, competitors, or even relevant industry topics. Just like Google Alerts, Talkwalker Alerts has customizable search options such as result type, language, and frequency of alerts. One useful tip I ran across, in order to minimize the results that may end up flooding your inbox, is to place your query in quotation marks. This eliminates common words from being searched individually and giving you useless query results. For instance, if I place my name Lindsay Liedke into the search query, there are a chance hundreds of results will pop up for Lindsay Lohan. However, by placing my name in quotes, as “Lindsay Liedke”, I will weed out all results related to my first name only. This free social media monitoring tool is used to monitor your Twitter activity. Using Warble you can find out if your posts have been retweeted and who has shared your content. You can also see where your Twitter handle has been mentioned. Sending you daily email alerts of your mentions on Twitter, Warble only requires that you sign into their website using your Twitter username and password to sign up. After signing in simply enter your Twitter handle or website’s URL to create an alert. You are also able to preview your search results before setting up an alert to make sure your query is suitable for your monitoring needs. HowSociable is a handy tool lets you track your own and your competitors’ social media presence. After entering your keywords, such as a brand or company name, HowSociable will provide a magnitude score ranging from 0-10 that indicates the level of activity that brand has experienced in a given week. The score is then broken down into the different social media platforms so you can see where your brand has a strong presence and where some extra attention is needed. A free account with HowSociable will let you monitor 12 popular social media platforms, but to access some of the bigger names such as Facebook and Twitter you will need a Pro account. 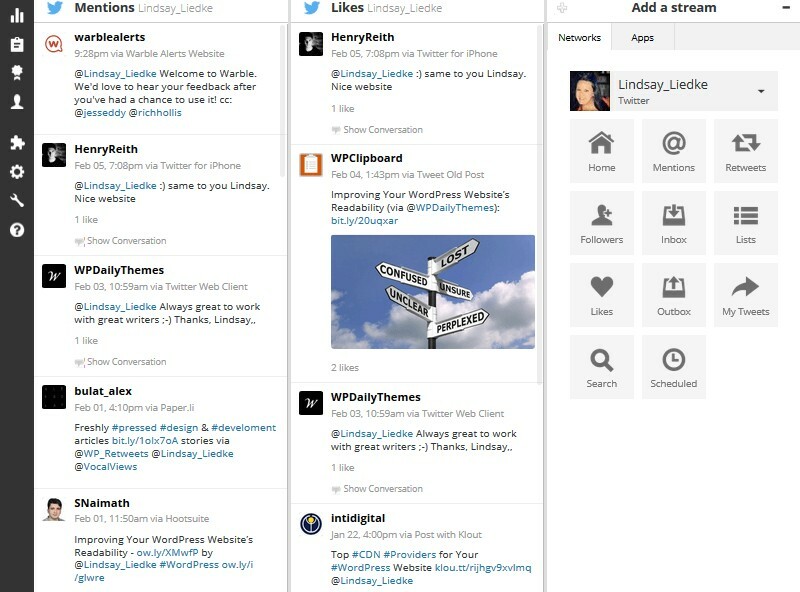 Hootsuite is a free social media monitoring app that can manage multiple social media platforms such as Twitter, Facebook, Google+, Instagram, WordPress blogs, and more. With Hootsuite, you can monitor social media activity, schedule and post updates to the various platforms, send private messages to targeted audience groups, use the team management feature to assign tasks to your social media team, and check out a variety of analytics. 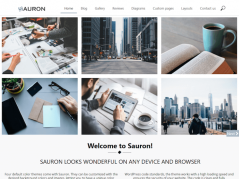 You can even have daily reports emailed to you with information such as number of clicks per day, geographical information of visitors, top referrers, most popular links, and so much more. The only downside to Hootsuite is that the learning curve can be quite high. It definitely takes some getting used to since there are so many available features and it can be overwhelming at first. However, after some practice, you will be well on your way to managing all of your social media profiles from one convenient place. The truth is there are tons of social media monitoring tools out there for you to take advantage of based on your company’s social media needs. However, no matter which tool you choose to use, it is important to use at least one to monitor your company’s online presence where so many of your loyal and future customers are every day. The insight they can provide can be valuable to your marketing efforts and can help you direct resources to places your brand may be weak. 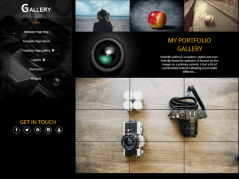 Don’t just post your website content on a social media platform and forget about it. Monitor your audience’s engagement with your brand, see where your content is landing, and make appropriate adjustments so that you can continue to take your business to the next level. Have you ever used any of the above-mentioned social media monitoring tools? Did I fail to mention an important one that was helpful for you? I would love to hear all about it in the comments below! 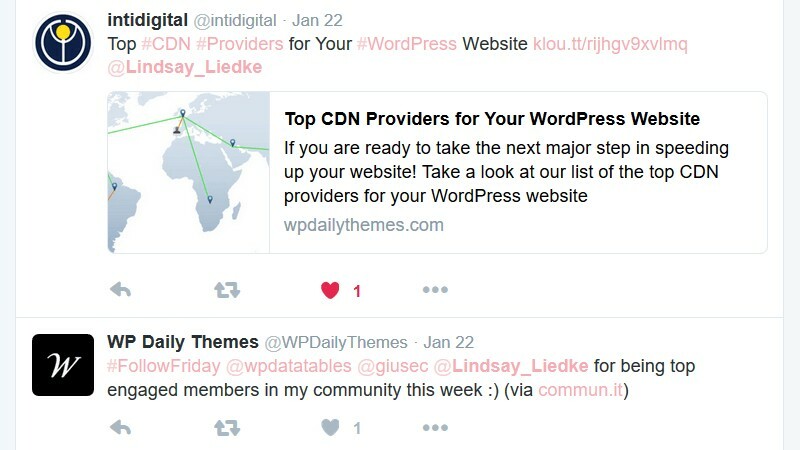 Lindsay is a writer on WP Daily Themes and a freelance writer for hire who loves all things WordPress. When she is not writing she can be found spending family time with her son and two silly nephews.